In an ever-evolving world, more and more individuals are suffering from bouts of depression, stress-related anxiety, and other mild or serious mental illnesses which can seem frightening, overwhelming, and sometimes, hopeless. Fortunately, there are a host of ethical methods designed to help the individual break free and heal from debilitating illness, or to simply improve quality of life. Individual therapy is one such process. Individual therapy is a private, confidential meeting between a therapist and a patient. Also referred to as counseling or psychotherapy, individual therapy is meant to help treat a variety of issues and concerns, including but not limited to stress, anxiety, addiction, depression, abuse, insomnia, anger and family challenges. Therapy is provided by several types of professionals, including licensed family therapists, licensed professional counselors, or licensed clinical social workers. Some have specific training in specific areas, but all are mental health professionals committed to finding the right solution for each individual person seeking help. Often, individual therapy begins with the mental health professional gathering information and learning about the person in treatment. They discuss the immediate concerns which have brought the person to therapy, and after a few sessions may discuss their past physical and emotional health. This allows the therapist to develop an understanding of the person as a whole, as well as his or her situation, and to move toward the best treatment plan for healing. No two therapists, just as no two people seeking treatment, are alike. It’s important the person in treatment feel comfortable with the therapist’s method and style, as the person in treatment will be doing most of the sharing. Some types of treatment include cognitive behavioral therapy (CBT), and dialectical behavioral therapy (DBT), as well as other effective approaches, which are designed to help people cope with emotion regulation and replacing negative thinking patterns with more positive ideas. As treatment programs progress, the initial intensity of emotions – including anger, fear, sadness or upset – should subside and give way to healthier thinking patterns and a generally more positive outlook. How effective is individual therapy? Research has shown that therapy can help people develop strong, healthy coping skills, regardless of situation or background. 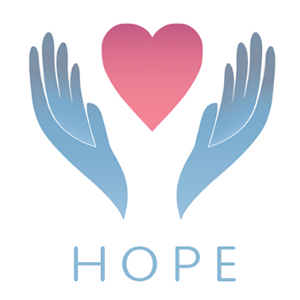 It is vital that the person seeking treatment commit to actively participate in therapy, in an effort to meet his or her goals and find recovery. This is why finding the right therapist is key – that relationship will help to guide the person seeking treatment toward success. It’s also been proven that the effects of good, proper therapy lives long after formal sessions with a therapist ends. Individuals report fewer relapses and improved lives, and have also stated that individual therapy works more effectively than medication alone. While seemingly more difficult than just taking medication, when a person faithfully attends sessions, completes the work assigned, and adheres to a plan of treatment, there is a significant chance of long-term recovery and healing. Who benefits from individual therapy? The short answer is that most everyone can benefit from individual therapy – even those who initially feel closed or intimidated by the process. Reid Darby, a father of three and a business owner, grew up in a household where “children were seen, not heard. Darby sought the assistance of a licensed professional counselor (LPC), who guided him into working through some of his most painful, shameful issues. Book Your Individual Therapy Session Today.